The two story Riley Fellowship Hall, 17 Silver Street, is available for organizations and businesses to use. It is located on a beautiful grass and tree lined area of land with two parking lots, which combined have 95 parking spaces. There is additional parking across the street in front of the church and in a baseball field parking lot next to the church. Riley Hall is centrally located in Hanover Center at the corner of Hanover and Silver Streets. 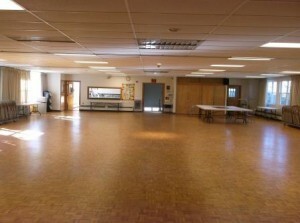 Riley Hall has a large banquet hall, a kitchen, and four meeting rooms. 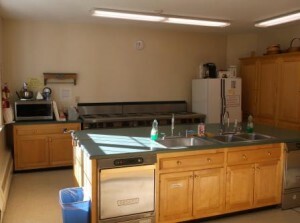 The building has wireless internet access and a wheelchair lift elevator is available for handicap access. The Riley Hall facility has been used for birthday parties, large family gatherings, funerals, wedding receptions, and business and support group meetings. The banquet hall is 60′ by 40′ with 9′ ceilings and a wood parquet floor. The hall is equipped with a public address system with wireless and wired microphones, nineteen 30 inch by 96 inch rectangular tables, two 30 inch by 72 inch rectangular tables, and 140 cushioned folding chairs. We have a fully equipped kitchen with three industrial gas stoves. The kitchen is registered with the health department and has a food establishment permit. We have four meeting rooms with both round and rectangular tables. One room is equipped with a large screen television that can be connected to a laptop computer. If interested in using the building please first check our online calendar to see if any events are being held during the time you are interested in. Please note only church sponsored events by church groups and church members are scheduled on Sunday, so building usage for organizations and businesses is available Monday to Saturday. After checking the online calendar to see if a Monday to Saturday date is open call, 781-826-4762, or email the church office and check with the office administrator about confirming the date and possibly moving forward with the usage process. Because the custodian’s regular schedule is not on Saturdays and the building is not normally open on Saturdays, arrangements must be made for Saturday events for the custodian to open the building and provide cleaning services for a fee. The memorandum of understanding can be filled out online in Word format or filled out by hand in PDF format. The memorandum of understanding lists donation rates and guidelines. You can email this form to the church office. It can also be mailed to you or you can come in during office hours and fill the form out. Donation fees can be made by writing a check or with a credit card or EFT by clicking here and entering the amount in the building use box. 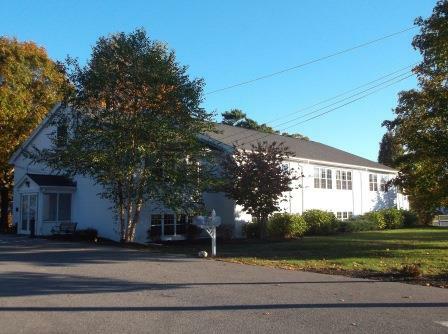 Thank you for your interest in the facilities of the First Congregational Church of Hanover.